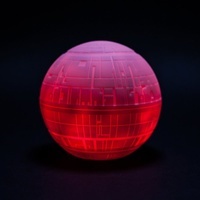 Star Wars Death Star LED Light | Light up the Dark Side! 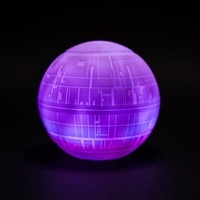 Bring the iconic Death Star to life! With the ability to destroy shadows at night! Come to the dark side... This Star Wars Death Star LED Light can definitely lend a hand to brighten things up for you! This battery operated night light looks great on or off, emitting an ambient glow that will keep your little ones safe and sound at night. 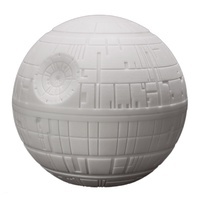 It's always cool to the touch, and it's miniature size makes it a great portable gift for Star Wars fans far and wide. With a simple on/off switch on the base, watch as the colours morph gently through red, green, purple and blue as you drift off to sleep. Approximate dimensions: 10cm (h) x 10cm (l) x 10cm (w). Requires 3 x replaceable LR44 button cell batteries (included). This is a great product, exactly how it was described. This little ball of joy lights up the room with no problems. This product was deliver in great time, and was professional. 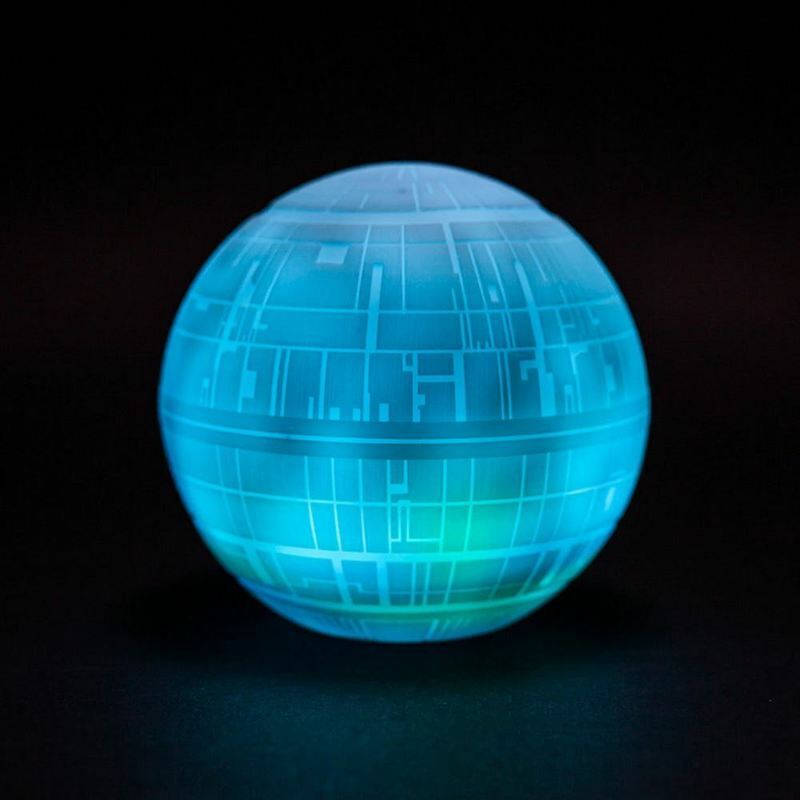 All in all, it was a great purchase and I would recommend it to any Star Wars fan. 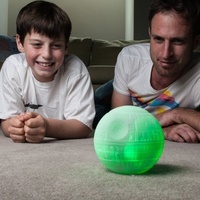 Crazy Star Wars fan, love the Death Star Light. Very, very cool. It is really neat with the colour changing LED's. Love it. It sits next to all my Star Wars Lego. Thank you for a great product.